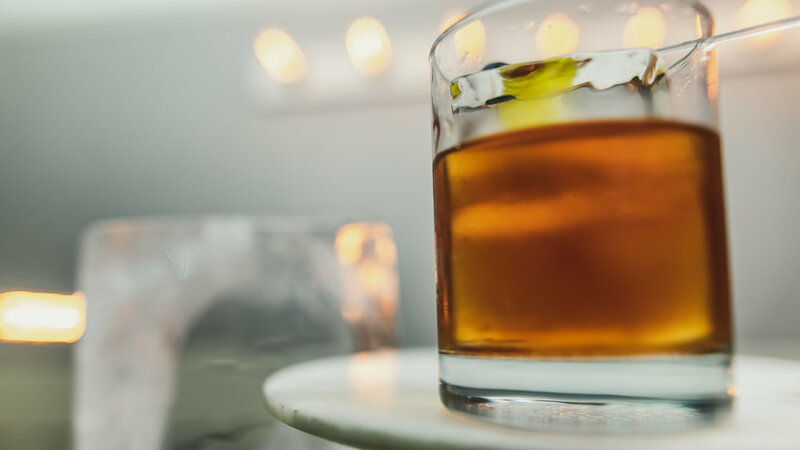 There’s a reason the Old Fashioned is a popular first in our collective experience of classic cocktails, craft cocktails, and at-home cocktails. It is widely considered to be THE first cocktail, when cocktails were invented. A cocktail’s core elements are spirit, bitters, sugar, and water, and so when bar patrons ordered a whiskey cocktail, in “the old fashioned way” - that’s what they meant: whiskey, bitters, sugar, and water. The recipe for an Old Fashioned Cocktail. It’s an accessible cocktail, using simple ingredients, and an easy sell to bar patrons first being introduced to craft cocktails who are looking for something boozy, direct, and delicious. There are longer and deeper posts about the origin of the word “cocktail,” and the best/true/accurate recipe for an Old Fashioned Cocktail (one that doesn’t contain neon cherries). This one is for those of you who already know and love our friend the Old Fashioned, and are looking to level-up. After we began making Old Fashioned’s at home, this was our first step of exploration into the limitless world of craft cocktails. A good friend of ours made an Improved Whiskey Cocktail for us at his apartment, and a bottle of absinthe and maraschino liqueur later, we’d moved on from our old ways. This was back in the days when our “home bar” was the front corner of this green cabinet we kept in the kitchen because our home didn’t come with enough counter space. The bourbon, absinthe, and maraschino lived in a little trio in front of the cookbooks, next to the olive oil. I can still remember the sound of Shawn Michael wrenching that sqeaky door open, the singing of the maraschino being un-corked… it was our signature house cocktail (and the only one we made) for nearly two years. Then we had a hot summer, and I fell in love with gin… ahh, how times have changed. It’s an Old Fashioned Cocktail, improved with the addition of absinthe and maraschino liqueur. And you don’t need much of these new ingredients, so if you’ve already got the bourbon on steady rotation through your house, adding two more bottles to your bar will provide improvements for many, many cocktails into the future! Add 2 oz whiskey, 1 tsp simple syrup, 1/2 tsp maraschino liqueur, 1/8 tsp absinthe, and 2 dashes bitters to a Mixing Glass. This recipe comes from David Wondrich, published in Imbibe!, and is adapted (to use modern measurements) from Jerry Thomas’ 1887 Bartenders Guide. If you keep your absinthe, maraschino, and simple syrup in dasher bottles, Jerry originally calls for 3 dashes syrup, 2 dashes maraschino, and 1 dash absinthe. It’s also worth noting that both recipes call for gum syrup, though we’ve found that simple syrup works just fine. Experiment with the recipe; play around to see what you prefer. 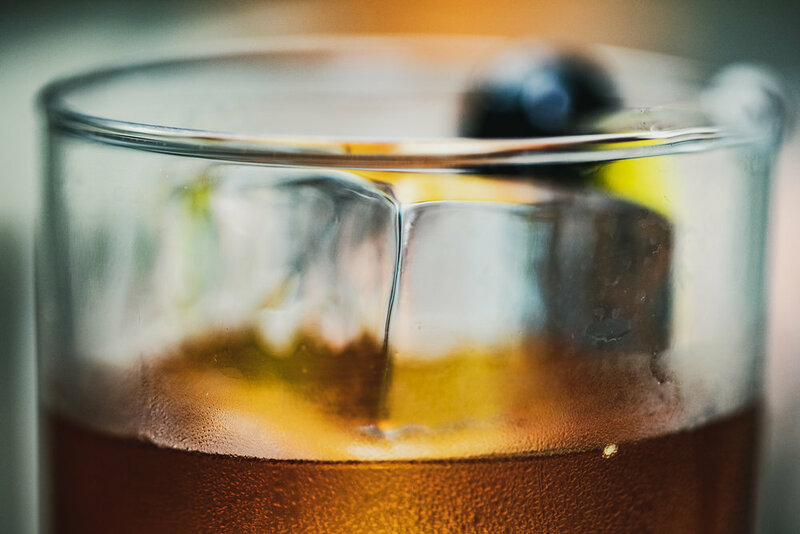 We like to keep things simple, and tend to like our drinks less on the sweet side, so we usually add just a barspoon each (sometimes less) of simple syrup and maraschino liqueur. If you keep your absinthe in an atomizer (because you’re fancy like that), you can also just spritz it a few times instead of messing with dashes and 1/8th teaspoon measurements. And though neither Wondrich nor Jerry Thomas calls for it, we like to spear a beautiful, dark, juicy maraschino brandied cherry on a cocktail pick, and lovingly nestle it next to the giant clear ice cubes that make making cocktails so much more fun.